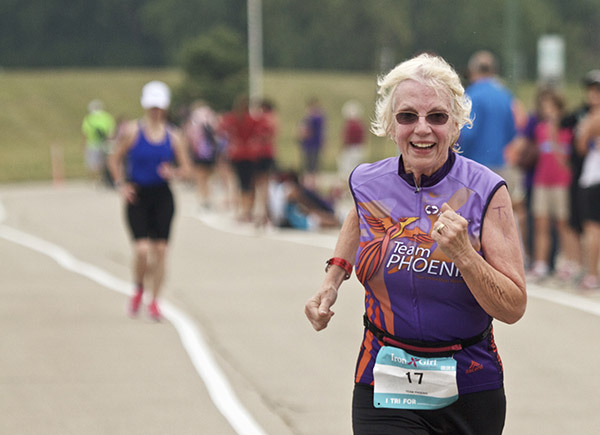 Tri Faster has the extreme honor of serving as the Official Coaches for Aurora Team Phoenix program. 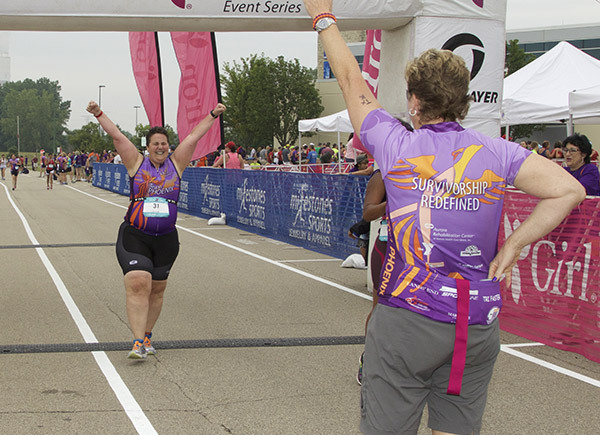 Each year, Tri Faster guides a new team of incredible female breast cancer survivors through a 14-week program that prepares them to successfully complete a sprint triathlon. 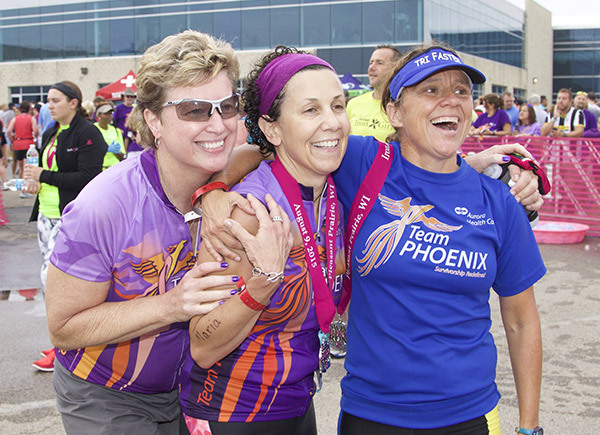 Through this program, the women of Team Phoenix redefine their cancer survivorship and take charge of their fitness. Head Coach Lauren Jensen has designed a challenging training program for the team that creates rapid changes for the participants. Along with her awesome staff of Tri Faster Coaches, Coach Lauren has helped many women from being non-swimmers to being able to swim a half mile in a lake in just 14 weeks. Others have gone from not exercising to working out 4-5 days per week and ultimately adopting an even higher level of fitness then they had pre-cancer. If YOU are a female cancer survivor - take the leap and join this program! If you know of a female cancer survivor in your life, encourage them to join this life changing team. The experience will change their outlook, and they will develop friendships and skills for a lifetime.